Improvisateur génial, fascinant et intarissable, Charlie Parker avait semblé, au cours de la première partie de sa courte carrière, limiter son répertoire à des thèmes construits sur le blues traditionnel – Parker’s Mood, Now’s The Time, Billie’s Bounce, etc. – ou sur la trame d’un nombre restreint de “standards”, notamment de chansons du type I Got Rhythm, utilisées fréquemment par les jazzmen. Il lui arrivait cependant de jouer de belles chansons des grands auteurs américains : Embraceable You de Gershwin, qu’il avait d’ailleurs largement remodelée à sa façon, en est un bon exemple. L’enregistrement de la sublime version donnée de ce thème par Charlie Parker figure dans le premier volume, “Now’s The Time”, consacré au saxophoniste. La présente sélection ne fait entendre que des chansons soigneusement choisies parmi celles qui ont enchanté plusieurs générations à travers le monde entier. À l’exception d’Okiedoke, épatante incursion du “Bird” – c’est ainsi qu’on le surnommait – dans la musique afro-cubaine, ces chansons proviennent pour la plupart de films, de comédies musicales ou du répertoire de stars de la chanson. C’est ainsi, par exemple, qu’Everything Happens To Me fut le premier “hit”, en 1941, de Frank Sinatra, à l’époque où il n’était encore que le chanteur de l’orchestre de Tommy Dorsey tandis que le même tandem Dorsey-Sinatra popularisa la même année East Of The Sun. Au rayon des chansons vénérables à tous les sens du terme, My Melancholy Baby, cuvée 1912, immortalisée par Bing Crosby puis par Judy Garland, et Summertime, grand air de l’opéra “Porgy and Bess” de Gershwin (1935). Les jazzmen ne sont jamais meilleurs que lorsque le matériau dont ils disposent pour se livrer corps et âme est de qualité. Au fil des plages, l’Oiseau Charlie Parker en fait la preuve, qu’il exerce son génie sur un tapis de cordes ou avec le soutien d’une section rythmique conventionnelle. Écoutez à ce propos I’m In The Mood For Love, donné successivement dans ces deux contextes (plages 11 et 16). 1.April in Paris03:07 (Vernon Duke / E.-Y. Harburg) Charlie Parker with strings: Charlie Parker (as) - Mitch Miller (oboe, English horn) - Bronislaw Gimpel, Max Hollander, Milt Lomask (v) - Frank Brieff (viola) - Frank Miller (cello) - Myor Rosen (harp) - Stan Freeman (p) - Ray Brown (b) - Buddy Rich (d) - Jimmy Carroll (arr, dir). New York, 30 Oct. 1949. 2.Everything Happens To Me03:15 (Matt Dennis / Thomas Adair) Charlie Parker with strings: Charlie Parker (as) - Mitch Miller (oboe, English horn) - Bronislaw Gimpel, Max Hollander, Milt Lomask (v) - Frank Brieff (viola) - Frank Miller (cello) - Myor Rosen (harp) - Stan Freeman (p) - Ray Brown (b) - Buddy Rich (d) - Jimmy Carroll (arr, dir). New York, 30 Oct. 1949. 3.Just Friends03:31 (J. Klenner / Samuel M. Lewis) Charlie Parker with strings: Charlie Parker (as) - Mitch Miller (oboe, English horn) - Bronislaw Gimpel, Max Hollander, Milt Lomask (v) - Frank Brieff (viola) - Frank Miller (cello) - Myor Rosen (harp) - Stan Freeman (p) - Ray Brown (b) - Buddy Rich (d) - Jimmy Carroll (arr, dir). New York, 30 Oct. 1949. 4.Summertime02:47 (Dubose Heyward - George Gershwin) Charlie Parker with strings: Charlie Parker (as) - Mitch Miller (oboe, English horn) - Bronislaw Gimpel, Max Hollander, Milt Lomask (v) - Frank Brieff (viola) - Frank Miller (cello) - Myor Rosen (harp) - Stan Freeman (p) - Ray Brown (b) - Buddy Rich (d) - Jimmy Carroll (arr, dir). New York, 30 Oct. 1949. 5.If I Should Lose You02:46 (Ralf Rainger / Leo Robin) Charlie Parker with strings: Charlie Parker (as) - Mitch Miller (oboe, English horn) - Bronislaw Gimpel, Max Hollander, Milt Lomask (v) - Frank Brieff (viola) - Frank Miller (cello) - Myor Rosen (harp) - Stan Freeman (p) - Ray Brown (b) - Buddy Rich (d) - Jimmy Carroll (arr, dir). New York, 30 Oct. 1949. 6.I Didn't Know What Time It Was03:13 (Hart Lorenz - Richard Rodgers) Charlie Parker with strings: Charlie Parker (as) - Mitch Miller (oboe, English horn) - Bronislaw Gimpel, Max Hollander, Milt Lomask (v) - Frank Brieff (viola) - Frank Miller (cello) - Myor Rosen (harp) - Stan Freeman (p) - Ray Brown (b) - Buddy Rich (d) - Jimmy Carroll (arr, dir). New York, 30 Oct. 1949. 7.Star Eyes03:29 (G. Depaul / D. Raye) Charlie Parker Quartet: Charlie Parker (as) - Hank Jones (p) - Ray Brown (b) - Buddy Rich (d). New York, March-April 1950. 8.Laura02:58 (Johnny Mercer - David Raskin) Charlie Parker with strings: Charlie Parker (as) - Joseph Singer (French horn) - Eddie Brown (oboe) - Sam Caplan, Howard Kay, Harry Melnikoff, Sam Rand, Zelly Smirnoff (v) - Isadore Zir (viola) - Maurice Brown (cello) - Verley Mills (harp) - Bernie Leighton (p) - Ray Brown (b) - Buddy Rich (d) - Joe Lipman (arr, dir). New York, Summer 1950. 9.Out of Nowhere03:08 (J.W. GREEN / Edward Heyman) Charlie Parker with strings: Charlie Parker (as) - Joseph Singer (French horn) - Eddie Brown (oboe) - Sam Caplan, Howard Kay, Harry Melnikoff, Sam Rand, Zelly Smirnoff (v) - Isadore Zir (viola) - Maurice Brown (cello) - Verley Mills (harp) - Bernie Leighton (p) - Ray Brown (b) - Buddy Rich (d) - Joe Lipman (arr, dir). New York, Summer 1950. 10.East of The Sun (and West of The Moon)03:40 (Brooks Bowman) Charlie Parker with strings: Charlie Parker (as) - Joseph Singer (French horn) - Eddie Brown (oboe) - Sam Caplan, Howard Kay, Harry Melnikoff, Sam Rand, Zelly Smirnoff (v) - Isadore Zir (viola) - Maurice Brown (cello) - Verley Mills (harp) - Bernie Leighton (p) - Ray Brown (b) - Buddy Rich (d) - Joe Lipman (arr, dir). New York, Summer 1950. 11.I'm in The Mood For Love02:55 (Dorothy Fields - Jimmy McHugh) Charlie Parker Quartet: Charlie Parker (as) - Hank Jones (p) - Ray Brown (b) - Buddy Rich (d). New York, March-April 1950. 12.Okiedoke03:04 (Machito / R. Hernandez) Charlie Parker with Machito and His Afro-Cuban Orchestra: Charlie Parker (as) - Mario Bauza, Paquito Davilla, Bobby Woodlen (tp) - Gene Johnson, Fred Skerritt (as) - Jose Madera (ts) - Leslie Johnakins (bar) - Rene Hernandez (p) - Roberto Rodriguez (b) - Machito (maracas, dir) - Jose Mangual (bongos) - Luis Miranda (congas) - Ubaldo Nieto (timb). New York, Jan. 1949. 13.I'll Remember April03:03 (Don Raye / Patricia Johnston - Gene De Paul) Charlie Parker with strings: Charlie Parker (as) - Joseph Singer (French horn) - Eddie Brown (oboe) - Sam Caplan, Howard Kay, Harry Melnikoff, Sam Rand, Zelly Smirnoff (v) - Isadore Zir (viola) - Maurice Brown (cello) - Verley Mills (harp) - Bernie Leighton (p) - Ray Brown (b) - Buddy Rich (d) - Joe Lipman (arr, dir). New York, Summer 1950. 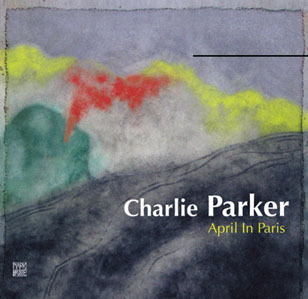 14.Easy To Love03:30 (Cole Poter - Cole Porter) Charlie Parker with strings: Charlie Parker (as) - Joseph Singer (French horn) - Eddie Brown (oboe) - Sam Caplan, Howard Kay, Harry Melnikoff, Sam Rand, Zelly Smirnoff (v) - Isadore Zir (viola) - Maurice Brown (cello) - Verley Mills (harp) - Bernie Leighton (p) - Ray Brown (b) - Buddy Rich (d) - Joe Lipman (arr, dir). New York, Summer 1950. 15.Danscing in the Dark03:11 (Howard Dietz - Arthur Schwartz) Charlie Parker with strings: Charlie Parker (as) - Joseph Singer (French horn) - Eddie Brown (oboe) - Sam Caplan, Howard Kay, Harry Melnikoff, Sam Rand, Zelly Smirnoff (v) - Isadore Zir (viola) - Maurice Brown (cello) - Verley Mills (harp) - Bernie Leighton (p) - Ray Brown (b) - Buddy Rich (d) - Joe Lipman (arr, dir). New York, Summer 1950. 16.I'm in The Mood For Love03:34 (Dorothy Fields - Jimmy McHugh) Charlie Parker with strings: Charlie Parker (as) - Joseph Singer (French horn) - Eddie Brown (oboe) - Sam Caplan, Howard Kay, Harry Melnikoff, Sam Rand, Zelly Smirnoff (v) - Isadore Zir (viola) - Maurice Brown (cello) - Verley Mills (harp) - Bernie Leighton (p) - Ray Brown (b) - Buddy Rich (d) - Joe Lipman (arr, dir). New York, Summer 1950. 17.They Can't Take That Away From Me03:18 (Ira Gershwin - George Gershwin) Charlie Parker with strings: Charlie Parker (as) - Joseph Singer (French horn) - Eddie Brown (oboe) - Sam Caplan, Howard Kay, Harry Melnikoff, Sam Rand, Zelly Smirnoff (v) - Isadore Zir (viola) - Maurice Brown (cello) - Verley Mills (harp) - Bernie Leighton (p) - Ray Brown (b) - Buddy Rich (d) - Joe Lipman (arr, dir). New York, Summer 1950. 18.My Melancholy Baby03:25 (George A. Norton - Ernie Burnette) Charlie Parker and His Orchestra: Charlie Parker (as) - Dizzy Gillespie (tp) - Thelonious Monk (p) - Curly Russell (b) - Buddy Rich (d). New York, 6 June 1950.